Bright three-story townhome in Bergen Park, in North Evergreen. 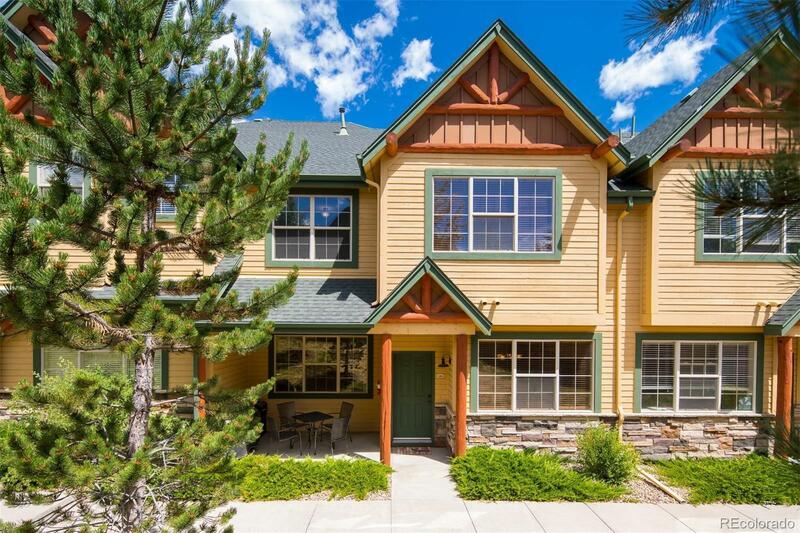 This quiet, south-facing location within Elk Trail opens onto the community green space. The main level has an open layout featuring a cozy living room w/gas fireplace, dining room w/table & countertop seating and kitchen complete w/ granite countertops, rich wood cabinetry and walk-in pantry. The main level also includes the laundry & powder room & opens onto its own private covered patio w/room for a grill. Upstairs are the vaulted master suite w/its 5 piece bath & large walk-in closet, along w/the second bedroom & bath. The oversized one-car attached garage enters to a tiled mudroom w/ample of storage space. Central A/C. Looking for convenience & easy mtn living? HOA includes water, sewer, trash, recycle & snow removal. This community provides easy access to Bergen Park w/its restaurants, shops & grocery. Walk/bike to public rec center and miles of open space! Quick access to RTD park and ride and I70. Escape the city!